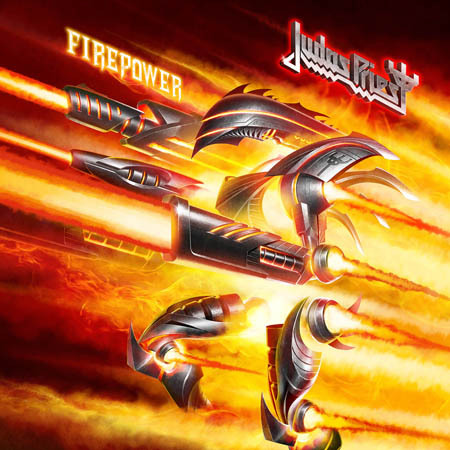 With just a few days to go until the release of possibly the most hotly anticipated album of the year, Judas Priest have released a third track from 'Firepower', and as well as that, fans in New York will have the chance to meet the Heavy Metal legends. At 6.00pm on March 19th at the Sony Square NYC, 25 Madison Avenue, New York City, the band will be signing copies of 'Firepower'. "'Never The Heroes' is about the courageous men and women that enter war - never trained to be heroes but becoming heroic due to their actions and sacrifices doing their duty for their people and country. "It resonates as there is a hero in all of us and in times of struggle we can be strong and united - conquering our own challenges and helping others - it's a traditional Priest mid-tempo powerhouse, with a powerful message!" Priest guitarist Richie Faulkner has assured fans that Glenn Tipton will play with the band again, despite the fact that he is battling Parkinson's disease and will not fully take part in the forthcoming 'Firepower' tour, as announced here. 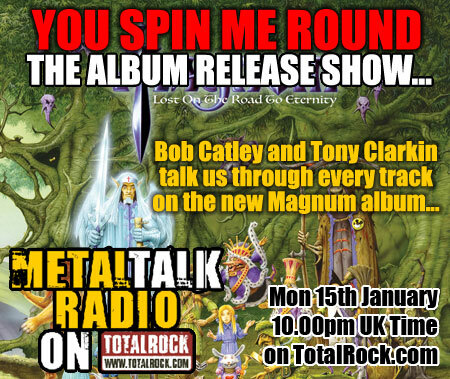 "Glenn Tipton is involved in this record in the same way that he always has been. The only difference this time is that he's been battling with Parkinson's. If anything, it's a testament to what a hero Glenn Tipton is. "If you listen to that record and you listen to the intensity, and you can hear the dedication that's gone into that, and the man is suffering ten years of Parkinson's? Hats off to the guy. It's just a testament to his love for the band, his love for the fans and his dedication to the cause. "Obviously, live is a different scenario. In the studio, you can take time and redo things and just take time and he's more comfortable. Live is a different kettle of fish. So Glenn's had to step back a little bit from that. 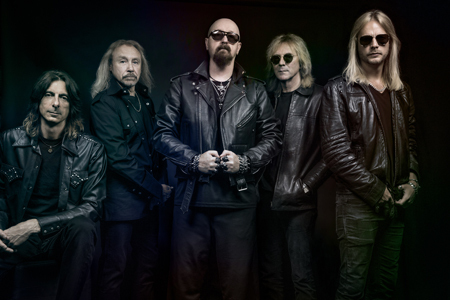 But rest assured, I think we're gonna see Glenn Tipton at some point in the tour." "We've already said, at some point he's gonna come out, as and when he's willing and able and he's healthy enough to do it and turn up and do some songs with us, and I think the fans will go nuts. I think it's gonna be unannounced, it's gonna be a surprise. "And who knows, man? Maybe we can keep him out — we can [get] him to stay out on the tour bus with us and come around the world with us. 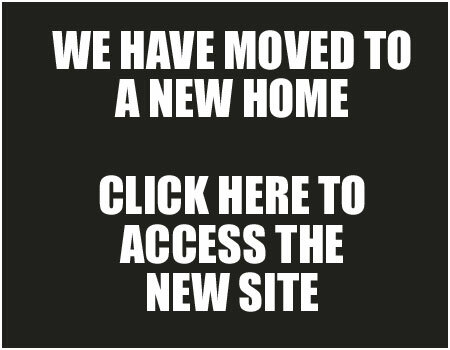 But we'll see Glenn Tipton on stage again — rest assured." In case you missed them the first time around, or have been living on Mars this past couple of months, here's the title track from 'Firepower' and 'Lightning Strike' again. Set for release this coming Friday, March 9th via Epic Records, the album is comprised of fourteen tracks of pure and highly inspired Metal and to mark the occasion Priest singer Rob Halford, guitarists Glenn Tipton and Richie Faulkner, bassist Ian Hill and drummer Scott Travis have reunited with producer Tom Allom, the man behind the board for all of the band's releases from 1979-1988, including such stellar classics as 'Unleashed In The East', 'British Steel', 'Screaming For Vengeance' and 'Defenders Of The Faith', with Grammy Award-winning producer Andy Sneap also helping to raise the sonic bar even higher. 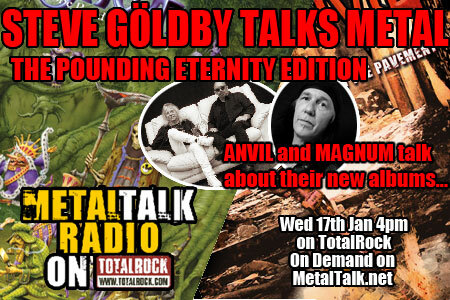 "Tom Allom has got this classic Metal thing, and Andy is a bit more of a 'modern Metal producer' but his thinking is a little bit different to Tom's and I think to get this balance between that classic old school Metal to what Andy’s world is was just a remarkable coalescence." "We went back to the organic way of recording where it's all of us in a room and we got to play together." With the impending arrival of 'Firepower' and the ensuing tour which kicks off on March 13th, THE PRIEST IS BACK!